One of the great joys of watching the Marvel Cinematic Universe unfold over its first decade was seeing how much people of all backgrounds, interest levels, and ages embraced the world of Marvel Comics and its characters. This ambitious shared universe shows no sign of slowing down anytime soon, and the MCU remains a place where parents and kids can come together and have a good time at the movies. Because adults and children see the world differently, though, that can also bring with it a few disagreements. An adult and a child can see the same Marvel film, and both can come away feeling passionately about it, but for very different reasons. There are some things an adult will get wrapped up in that simply puzzle or irritate them, while a kid will not only accept the same thing, but embrace it. As a result, young film fans all over the world are walking around with a completely different way of appreciating the MCU. In celebration of that, here are a few things that kids love and understand about the MCU that a lot of adults just don't get. 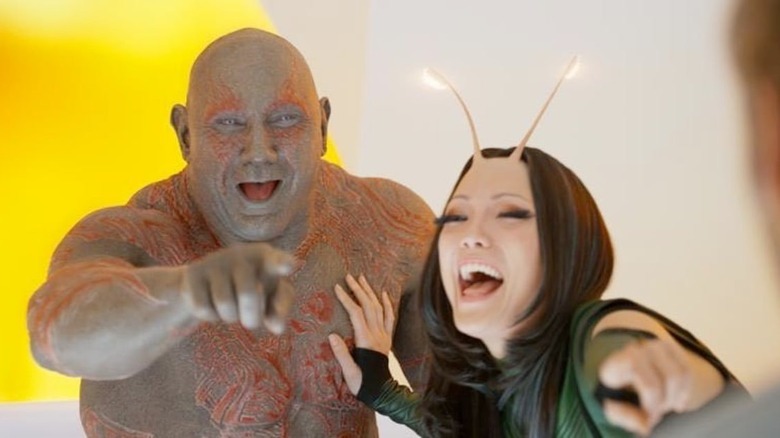 Somewhere along the way as we watched the various superhero shared universes of the moment take shape, a certain distinction emerged among some fans to separate the MCU from the competition: Marvel is the one with the jokes. That's not to say the DC Extended Universe or the Fox X-Men universe doesn't have jokes (especially since the emergence of Deadpool), but that there's a much higher joke-per-minute rate in MCU films. For many adult fans, particularly since the rise of franchises like Guardians of the Galaxy and Ant-Man, it's a distraction, and it's highlighted by Marvel's attempts at more serious fare, like the conspiracy thriller darkness of Captain America: The Winter Soldier. The trouble with this complaint, which kids see right through, is that these films all take place in a clearly heightened reality. Sure, to us it looks amazing and nearly impossible when Captain America runs through a gauntlet of bad guys and takes them all out with his shield, or when Iron Man weaves through the skies dodging explosions, but to the characters, it's all in a day's work. With that in mind, of course they're going to crack jokes, and of course they're going to sometimes comment on how strange the world they live in really is. That gives us great moments, and kids tend to not overthink that. 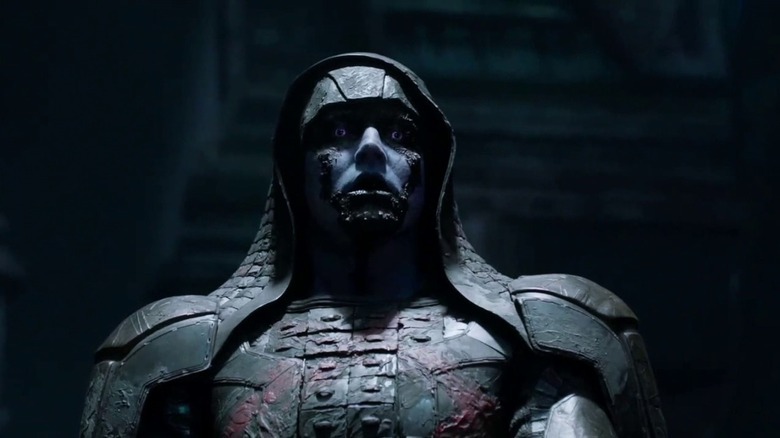 Like a great many blockbuster franchises over the years, the films of Marvel Studios have been known to follow a certain formula, particularly where origin stories are concerned. Even if it's not an origin story, though, certain key elements almost always seem to be there: Introduce the hero or heroes and what they want, introduce the villain or villains and what they want, and build to a massive battle at the end where the heroes either win or enough people survive to set up the sequel. It's easy to spot, and many adult fans get tired of it pretty quickly. For kids, though, there can be comfort in this formula. There's a reason superhero stories following the same trajectory have been around for nearly a century now, and why adventure stories pre-dating those superhero adventures also have certain tried and true structural characteristics. The familiarity helps young fans follow the story while also allowing them to get really caught up in the character beats and action set pieces. For kids, it's often not about the familiar plot, but about what the heroes they love do within that plot. 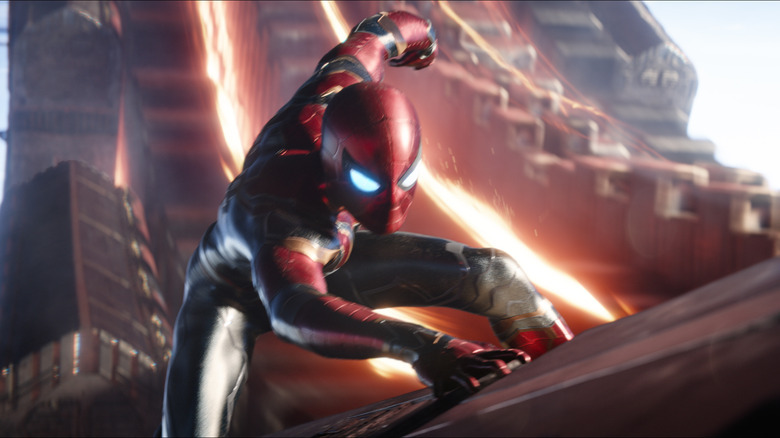 After Avengers: Infinity War was released and rocked the Marvel Cinematic Universe to its core, many fans weren't really sure what to do with themselves in the year between that film and its upcoming sequel. 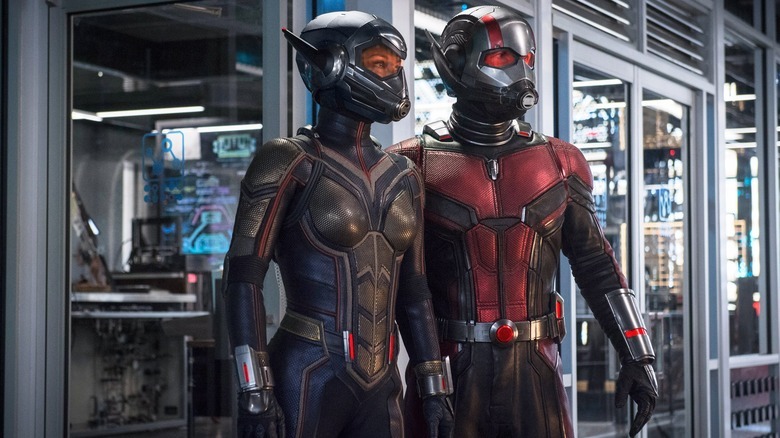 Marvel Studios, though, already had the next thing in the pipeline, and that just happened to be Ant-Man and the Wasp, the sequel to Ant-Man that — while ambitious and fun — was a far cry from the epic cosmic scope of Infinity War. This led to a common refrain among fans still shaken from Thanos' machinations: "How am I supposed to care about this little Ant-Man movie now?" This was less of a concern when Marvel was operating with a formula of solo films punctuated by the occasional team-up, but as the MCU has grown so too have the stakes, and many adults just can't bring themselves to get invested in anything but the absolute biggest stories. Kids don't have that concern. They inherently recognize that there's a place in this massive sandbox for stories of all sizes, and an Ant-Man film can be just as fun and rewarding as an Avengers film if you look at it from the right perspective. Sometimes Marvel Studios is criticized for the sense of uniformity in their films, and an apparent lack of directorial individuality. There's an idea among some fans that their films all look sort of the same, which the studio has wisely responded to with films like Guardians of the Galaxy, Doctor Strange, and Thor: Ragnarok. These are brightly colored, even psychedelic explorations of all the weirdness the world of Marvel Comics has to offer, but just as some fans criticize the dull uniformity of other Marvel films, other fans think they're perhaps a little too weird and colorful. When you're a kid, and you're having a good time with a movie, nothing could possibly matter less to you than the sense of realism evoked by a muted color scheme. 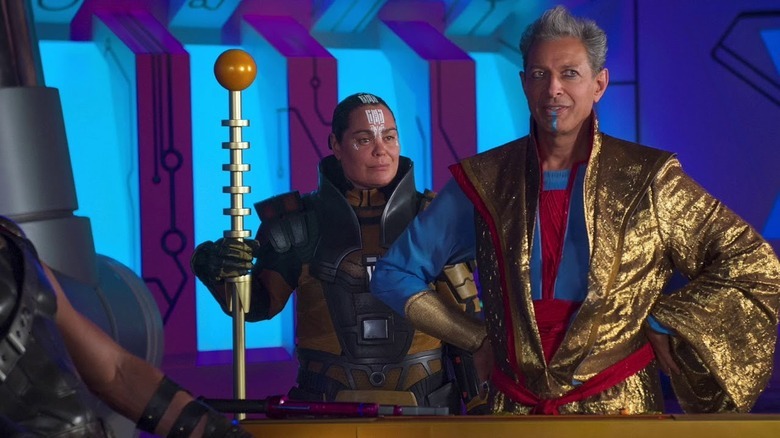 You want to be taken on a journey, and if that journey means the gold and blues and reds of the Grandmaster's palace in Ragnarok, then that's where you want to go. These young fans understand, or at least celebrate, the importance of contrast, and the brightness in Marvel films is there so that when the darkness comes, we really feel it. Avengers: Infinity War will be known, at least until the next big Marvel thing comes along, as "the movie where they killed everyone," and there's no way around that. It's become a mainstay pop culture joke that Thanos will snap and various people will dissolve into dust. Throw a rock and you'll hit a meme based on it. It's a defining element of that film, and yet the moment fans had seen it, the complaints began to roll in. You know the ones: "They're just going to undo these anyway, so it doesn't even count." "There are no stakes in this movie if there are magic stones that can just reverse it all," and on and on. Kids, for the most part, don't have this concern, not just because they don't necessarily think in terms of retcons and movie marketing (of course Spider-Man will be back because he's profitable), but because in the moment of the story, they are just as invested as the characters are. 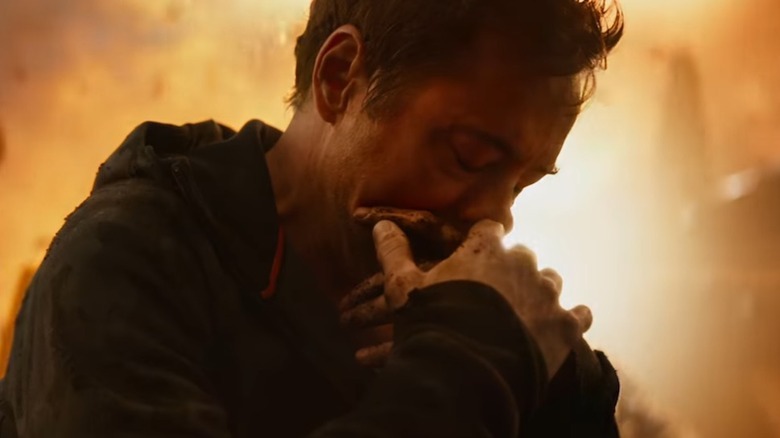 Iron Man doesn't know that his friends might one day live again, so in the reality of experiencing that story, young viewers don't know either, and there's something very pure about that. It's one of the lesser complaints adults have with the Marvel Cinematic Universe, but hang around the right nerdy people long enough and you'll start to hear grumbles about the various costume changes and designs present in the MCU. Why does Spider-Man need a different costume for every movie? Why is Thor's armor changing? Why did we give Iron Man 42 different suits just so he could destroy them all? For some, it smacks of marketing and toy sales, and nothing else. 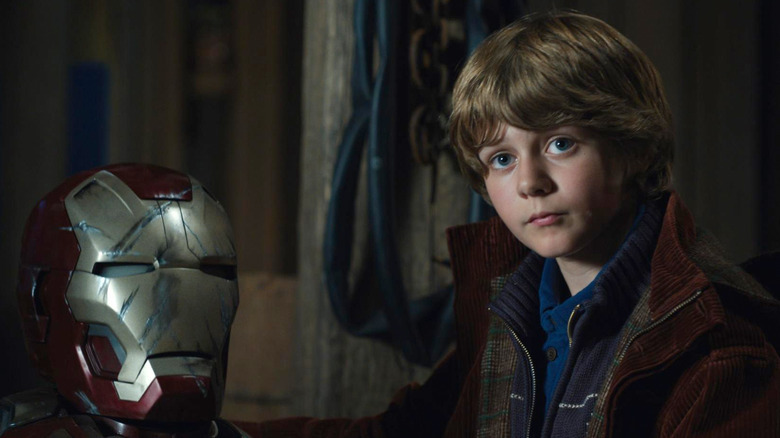 Of course, it definitely does smack of marketing and toy sales, because if a kid buys an Iron Man 3 action figure and loves it, there's a good chance that same kid will want one from Avengers: Age of Ultron. It's more than that, though. Would you wear the same outfit to your job every day for the rest of your life if you didn't absolutely have to? Of course not, and neither would these adventurous MCU heroes. Costume changes have always been part of the game. It adds visual variety and a sense of evolution and fun, and kids are always along for that ride. 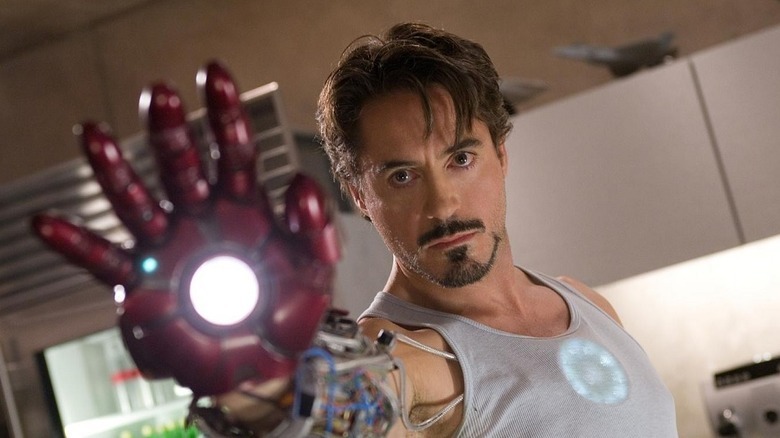 Though a diehard MCU fan might not level this complaint at the films, various more casual moviegoers have certainly taken aim at the continuity of Marvel's films over the years, particularly in the lead-up to Infinity War when there were various details everyone was expected to remember despite some helpful recaps from the characters. How are we supposed to remember all of these Infinity Stones? Why does Iron Man have a flip phone? Who's that guy? What year is it? Yes, the MCU's timeline and cast of characters is complex, because it's a decade's worth of world-building playing out before our eyes. If you start thinking about it too much, it can become easy to get lost, but kids don't think that way. They show up to the theater to experience that story on that day, and while they may certainly remember past films and how they play into the experience, they're also simply accepting the film they're seeing, absorbing the information as it's presented to them. You could cynically dismiss that as merely a simpler way to watch a movie, but it also allows them to be more present in the current story, and that's a gift sometimes. One of the most common complaints among MCU fans is that, while its heroes are vibrant and interesting and even diverse, its villains are — with a few exceptions — rather lackluster. We have Loki, yes, and Killmonger, but we also have Whiplash, Yellowjacket, Aldrich Killian, Ronan the Accuser, and so on. Why can't these films get better villains? Yes, some of the MCU's villains leave something to be desired (Whiplash is not a great nemesis in any universe), but sometimes these criticisms feel like they're simply coming from looking at these films through the wrong lens. 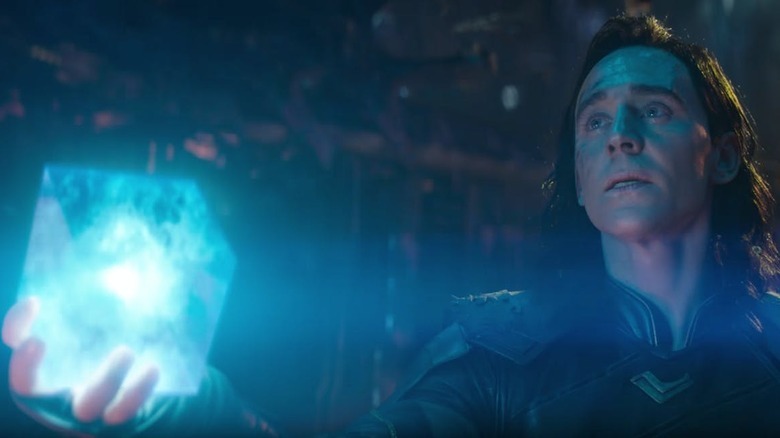 The movie is not about the villain, no matter how charismatic Tom Hiddleston's Loki might be. Sometimes they have a clear journey and arc (Killmonger is a great example, as is Thanos), but sometimes they're there merely as an obstacle for the heroes. We don't see an intimate personal history of Ronan and his desires, because we don't need to. He's there to present a threat to rally the Guardians of the Galaxy, and it's that coming together that makes up the meat of the movie. Kids get that they're supposed to look at the journey of the heroes in those instances, and they're not so distracted by a desire for a more complex adversary. 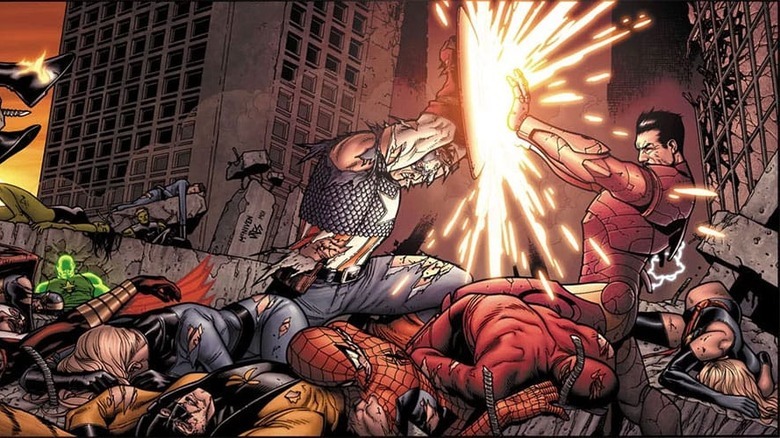 When it was announced that the third Captain America film would be based on the Civil War arc from Marvel Comics, many fans had certain expectations that they brought with them into the theater. When those weren't met, those same fans were disappointed, just as they were when Scarlet Witch and Quicksilver were introduced to the MCU without the rich backstory they may have gotten had they been mutants, as they were in the comics. It's hard to detach from stories you've loved for years, and that means lifelong comic book readers sometimes leave MCU movies feeling like they've been cheated out of the "correct" adaptation. Kids don't feel this so acutely, not just because they often haven't read the comics in question (yet), but because they understand that the movie is supposed to present a new story for them. Yes, some kids do still get wrapped up in the source material (just ask any parent of a Harry Potter fan), but more know that now they get to experience two versions of one story, each with its own advantages and disadvantages. That's exciting and rewarding.